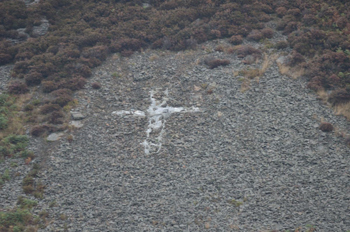 The two christian crosses are a few miles apart, both can easily be seen from the A4119 a little west from Pontypridd. 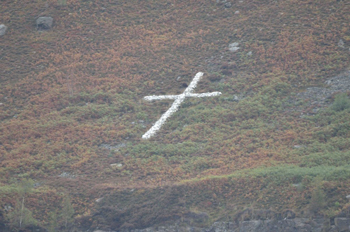 The Trelaw cross was constructed in 2005 by Glyn Thomas, “A friend of mine made me promise that when he died I’d scatter his ashes on the mountain; whoever goes first will scatter the other’s ashes. “Quite a lot of people have scattered ashes on the mountain and put wreaths up there." A resting place and mark of respect “I just thought I’d mark the spot and it could only be with a cross. It’s a permanent resting place, a mark of respect for the Trealaw boys of my age." The Penygraig Cross history is currently unknown, any information appreciated but I assume it is some sort of memorial.